Search engine optimization (SEO) is to optimize your website so it be found more easily by search engines. In order for your website to be ranked high, your website should provide original and valuable content. Another factor to take into consideration is authority. You can increase your authority by linkbuilding, content strategy, online PR and social media. 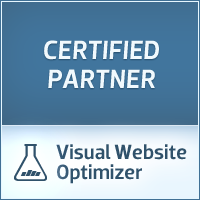 Optimizing a website takes a lot of effort. It requires specific knowledge and skills in various fields, such as marketing, copy writing and usability principles. Africa Business Communities Online Marketing Desk possesses these knowledge and skills to get the most out of your website.